locomente...: Common to Fall... Uncommon to Rise! 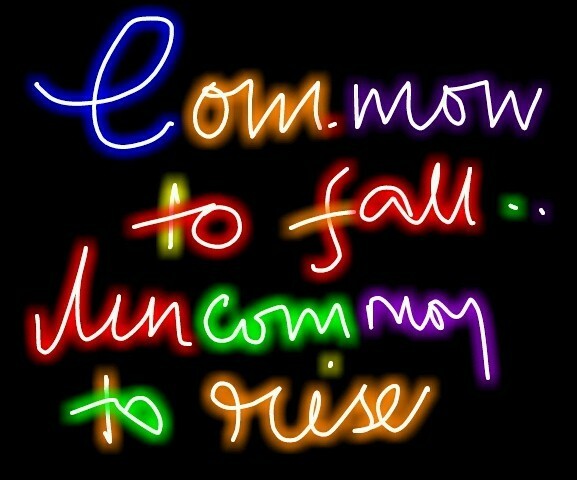 Common to Fall... 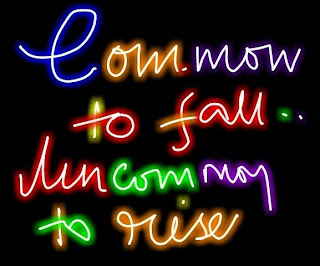 Uncommon to Rise! “What is all that matters to a person? His daily bread? His family? His ambition? Or his dreams that teach him to fly and foster his talent? I sat back in my chair and thought about it. Really, what makes someone to rise against all odds...What keeps someone going in spite of all the pitfalls? I closed my eyes and wondered how I became what I am today... From a normal child to a teenager determined to become a Chartered Accountant... The easy successes that came my way... Those congratulations and appreciations... That sudden change from yet-another-carefree-teenager to a determined-independent-confident girl... Those days of happiness and laughter... Optimism and ambition... Everything reeled within my mind. That failure that taught me that life is not a sturdy walk in a flat and well-maintained road. It taught me that pitfalls are common and that anyone can fall anytime. It brought me back to reality and made me look at the World with a different perspective. I started living a life that was far away from people, expectations... Each moment, I tried to detangle myself from the shackles of failure. I closed the doors for others and everything that was a part of my daily life... And I opened a small door that was closed till that date – A door that led to my inner-self! May be because the expectations of very high... May be I was too optimistic and relied a little too much on luck factor... May be this is just not my time! I will NOT fail again. At least not in what I have already failed! Failure is common... But rising against it and defeating failure, thereby, emerging victoriously is uncommon. The failure has rendered me crippled, but I will not accept my disability. Instead I decided to fight and win over my disability. And I wanted to emerge as a warrior who had won the battle with scars that would remain for a lifetime. After all, I can ONLY sow the seeds. Whether a plant will grow out of it or not is something beyond my control! The fruits of success seemed sweeter than past... It seemed mightier... When I cried out of joy in the shoulders of my parents... I knew what made me evolve and emerge successfully... It was the DETERMINATION TO NOT TO FAIL! May not be forever, but at least for the time being!